Aditya Jyot Eye Hospital, established in 1990 by Dr. S. Natarajan at Dadar, has now expanded into a 4-storey hospital in Wadala in the heart of Central Mumbai. A Center for Total Eye Care; it is the largest eye hospital in Mumbai and has been rated the “No.1 Eye Hospital in Mumbai” Source – Outlook Magazine July 2002 issue. All eye disorders including complicated ones like sub-macular hemorrhage, Ocular Trauma, and Diabetic Retinopathy are treated here with complete precision. Aditya Jyot is also well equipped with a LASIK Operation Theatre for correction of refractive error. 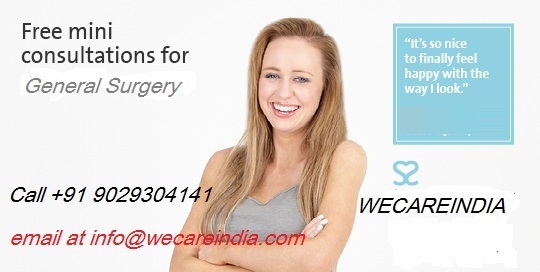 Constellation Vitrectomy System – 1st Private Hospital in India. Fourier Domain Optical Coherence Tomography – III for Retina, Cornea and Glaucoma. Suture less 25 Gauge in Vitrectomy System for Suture less Vitreoretinal surgery. Twinlight Endoillumination for Vitreoretinal surgery. IOL Master – the revolutionary method for IOL power calculations in cataract surgery. Multifocal ERG and Multifocal VEP. Patients are offered cross consultations with eye doctors of other sub-specialties in the hospital without any extra charges and on the very same day. Dr. S. Natarajan, Principal Investigator (Chairman and Managing Director). Dr. Nazimul Hussian, (Professor Emeritus). Prof. Govindasamy Kumaramanickavel, (Research Advisor). Aditya Jyot Eye Hospital strives to provide world class eye care service under one roof by innovative service through research. Our Mission Aditya Jyot Eye Hospital will remain attentive to the eye care and well-being of those we serve through patient-focused care with 100% patient satisfaction with zero percent error, patient education and innovative services. To excel in the field of ophthalmology & ocular surgery & provide international quality treatment. 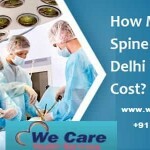 Provide services of the highest possible standards, to satisfy our patient’s needs, expectations of quality, safety, reliability and service. To offer the latest in field of Ophthalmology in diagnosis and treatment of eye diseases. To accept patient of any socioeconomic status and emergency patients in ophthalmology at all times. To make all efforts to achieve 100% patient satisfaction by means of continual improvement in services. To educate patient and relatives of the existing eye problems. To maintain an ambient and clean atmosphere in the centre to make the patients & relatives comfortable. 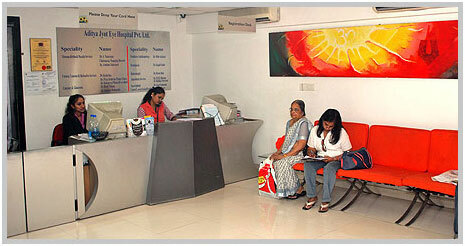 Dr. S. Natarajan hails from a long line of Ophthalmologists. His father Dr. N. S. Sundaram and grandfather Dr. Nataraja Pillai, were some of Chennai’s most respected Ophthalmologists. This third generation Ophthalmologist did his MBBS from Chennai. In 1982 he completed his post graduation in Ophthalmology from Chennai. From 1984 to 1988, he worked as a Vitreo Retinal Surgeon, under Dr. S. Badrinath, at the Sankara Nethralaya, Chennai. In 1988 he joined the Taparia Institute of Ophthalmology, Bombay Hospital and continued his work there till 1990. Later that year, he took the decisive step of laying the foundation stone of Aditya Jyot Eye Hospital and has continued serving the institution in his capacity as Director, surgeon and guide to a large community of Vitreo Retinal Specialists. He is considered one of the most proficient and high profile young surgeons involved in academics throughout his clinical practice and he has been honored with accolades from around the world. Four well equipped operating theatres. Comfortable lounges with recliners for day care surgeries. Various top class suites for outstation patients. Suture less Vitreo retinal surgery. The cornea is the clear front dome shaped window of the eye. It provides about 2/3 of the eye’s focusing power. It gives us a clear window to look through and is the key to good vision. It also helps shield the rest of the eye from germs, dust, and other harmful pollutants. The Corneal Service at our centre delivers medical and surgical care to a wide variety of corneal, external eye related diseases and anterior segment eye disorders. The Service is managed by a trained corneal sub-specialist ophthalmologist. 1. OCULAR SURFACE DISORDERS: Diseases affecting the ocular surface result in non-specific symptoms and can range from a tired or itching eye to diminished vision in severe cases. 5. CORNEAL INJURY : Corneal injuries may result from severe blunt trauma or any kind of penetrating injury. The aim is to restore and maintain the integrity of the globe, avoid further intraocular damage and prevent permanent corneal scarring and astigmatism. LASIK, an acronym for Laser-assisted In Situ Keratomileusis, is a form of refractive laser eye surgery procedure performed by cornea specialists as an alternative for people wearing glasses and contact lenses. PRK Photo Refractive Keratectomy is an excellent alternative to LASIK in selective cases where LASIK cannot be performed due to safety considerations as corneal thickness may be inadequate. PTK Photo therapeutic Keratectomy is an excimer laser based therapeutic surgery done for numerous conditions ranging from corneal dystrophies to recurrent corneal erosions. It not only improves vision but also brings relief from recurrent episodes of painful red eye and also helps to delay the need for cornea transplantation. Patch Grafts- Corneal and scleral patch grafts. Corneal perforation repair with anterior segment reconstruction. Announcing the advent in Mumbai of a revolutionary technique of corneal transplantation without sutures called as DSEK. DSEK( Descemets Stripping Endothelial Keratoplasty) refers to a new method of advanced corneal surgery, wherein the dysfunctional endothelial layer of the cornea is selectively replaced with healthy donor tissue, without the need for surface incisions or sutures. 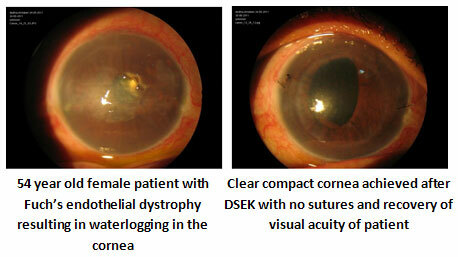 Tectonically the cornea is much stronger following DSEK as compared to conventional full thickness corneal transplant. Before DSEK came in to practice, conventional corneal transplantation was the only solution for those ailing with corneal diseases. What is conventional corneal transplantation? Conventional corneal grafting procedure requires full thickness excision of the host cornea, followed by replacement of corneal tissue from donor cornea. This corneal tissue needs to be secured in position with multiple sutures. 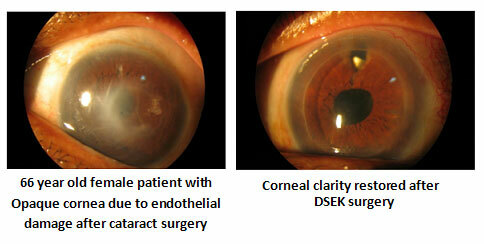 How is DSEK better than conventional corneal transplant? Advantages of endothelial keratoplasty over traditional penetrating keratoplasty (PK) include rapid recovery times, decreased postoperative astigmatism, decreased risk of suture related complications. Tectonically the cornea is much stronger following DSEK as compared to conventional full thickness corneal transplant. We are happy to inform that the facility of DSEK surgery with state of the art instrumentation is now available with us at AJEH. This intricate surgery will be performed at AJEH by our highly qualified cornea surgeon trained internationally for the procedure. Following are some of the preoperative and post operative photographs done in the cornea department at AJEH. LASIK (LASER IN SITU KERATOMILEUSIS) is an advanced laser surgery that permanently eliminates your dependence on corrective eyewear i.e. glasses and / or contact lenses with the resultant lifestyle advantages. It is Used to correct refractive errors, LASIK eye surgery is a treatment that reshapes the cornea in order to produce clear vision. The LASIK refractive eye surgery procedure can treat myopia (nearsightedness), hyperopia (farsightedness), and astigmatism, and reduce patients’ dependency on contact lenses and glasses. LASIK eye surgery provides individuals with an effective treatment option, where a predetermined amount of corneal tissue is removed. 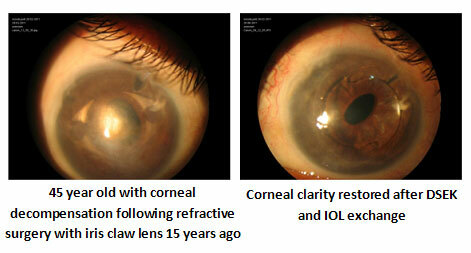 This reshaping of the cornea improves the eye’s focusing power and enhances patients’ visual acuity. LASIK improves the uncorrected vision for distance – one’s visual capacity while not wearing corrective lenses – in most patients who have the procedure. Nearly all patients can expect to achieve 20/40 vision, which most states consider good enough to drive without having to wear contacts or glasses, and many can expect to achieve 20/20 vision or better. However, there are no guarantees that you will have perfect vision. People who are most satisfied with the results of laser correction clearly understand the potential risks and complications and possess realistic expectations of what their vision will be like after surgery. The effects of LASIK are permanent. The effects of LASIK do not wear off. But, it is important to realize that a person’s eye can still change internally. That is why many surgeons recommend having the procedure done after the major eye changes have occurred in one’s life. Be at least 18 years of age, with a stable refraction for the past 6 months. Corneal thickness more than 480 microns which will be evaluated by us. RGP/Semi soft lens use to be discontinued 2 weeks prior to LASIK. Soft contact lens use to be discontinued 1 week before LASIK. Be informed of corneal Refractive Surgery risks and benefits as compared to existing treatments for refractive errors. Be able to tolerate local/topical anasethsia. Be willing to sign an informed consent form prior to the procedure. Be able to keep your eyes accurately on the fixation light during the laser treatment. If you have any connective tissue diseases (Rheumatoid Arthritis), Auto immune (eg SLE) and immunodeficiency diseases. If you show signs of Keratoconus or any other condition that causes a thinning of the cornea. In the above mentioned instances, it is recommended that you avoid corneal refractive surgery as the risk involved is greater than the benefit. If you use contact lenses, please discontinue their use for at least 2 weeks prior to the surgery. If you fulfill the above criteria and are interested in undergoing refractive surgery, discuss your decision with your corneal Refractive Surgeon. Your doctor may decide to perform an in-depth pre-procedural examination to evaluate the overall health of your eyes and determine your suitability for the procedure. 1. FWill my vision improve immediately? 2. 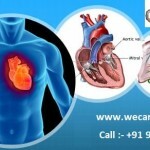 What are the possible side effects of the procedure? 3. How do I know if I am a good candidate for LASIK? 4. Is the effect of LASIK permanent? 5. Will I need reading glasses after the treatment? 6. How many times do I need to be seen following the treatment? 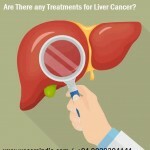 Most patients are usually seen the day following the treatment and then atleast 1 month and 3 months following the treatment. Some patients require more visits. Remember, we are available 24 hours a day when you have any questions, concern or need attention. 7. How soon after the treatment can I bathe and take a shower? Your physician will advise you as to the specifics, however, typically you can bathe the same day of the treatment but you should not shower for 2 days after the treatment. As always, avoid getting soap or water directly into your eyes. Avoid rubbing your eyes during the first month after surgery. 8. When can I drive after the treatment? 9. How soon can I use eye makeup? You may resume wearing eye makeup 2 weeks after your treatment. We strongly recommend that you purchase new eye makeup, specifically mascara, to avoid potential infection following your treatment. 10. How soon after the treatment can I exercise? 11. How soon can I swim? 12. What kind of Anesthesia is used during the treatment? 13. Can both the eyes be treated at the same time? In LASIK- Both eyes are performed same time, but SURFACE PRK and Epi LASIK is performed one eye at a time. The timing of treatment of the second eye is best decided in consultation with your ophthalmologist. 15. Can I see the treatment as it is being performed? 16. Will I experience pain after the treatment? 17. Will my eyes be patched? 18. Will I need to wear spectacles or contact lenses after the procedure? 19. Is the LASIK procedure covered by insurance? LASIK (Corneal Refractive Surgery) is considered as elective/ cosmetic surgery and it is not covered by many health insurance plans. However you can contact our insurance section staff after your LASIK consultation. You may also contact your insurance agency for the same. 20. When can I resume my normal activities? 21. What is the criteria for lasik surgery? Age of the patient should be over 18 years. RGP/Semi soft lens use to be discontinued 3 weeks prior to LASIK. Soft contact lens use to be discontinued 2 weeks before LASIK. 22. Is lasik a safe procedure? Yes if the requisite tests and above criteria are followed. If done after a thorough screening. A good center / clinic is booked. Use of latest equipment is used. Done under the care of expert hands. 23. Up to what number can LASIK correct? A wide range of refractive errors can be corrected including near sightedness, far sightedness & astigmatism. Near sightedness is an eye number which ranges from 0 to minus 22 diopter. Far sightedness is a number which ranges from 0 to plus 5 diopter. Astigmation(Cylindrical) 0 to 6 diopter cyl.